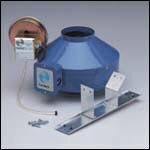 Bathroom Fan Kits - Fantech exhaust fans are some of the best and easiest to install kits on the market. Their bath fan line includes easier mounting hardware and choices in lighting than the competition. 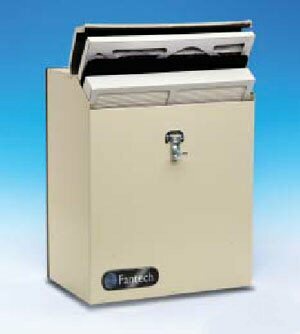 All Fantech ventilation systems are available here. Bathroom and Kitchen Fans- In line duct fans, roof and exterior wall fans, and multi-port centrifugal fans are available in different qualities and sizes. Fantech bathroom fans and kitchen fans include FR, FG, FKD, FSD, RVF, RE, CVS, and FRD models. Dryer Boosting Solutions-If you are experiencing long dryer times and damp clothes you may need a dryer booster fan. These units will pay for themselves in no time at all and will save on both energy costs and equipment wear and tear. 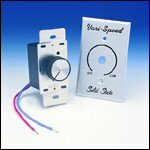 Controls & Switches-Timer and Attic Thermostats (SCD and FAT10). HEPA Replacement Filters-Replacement HEPA filter for Fantech ventilation fans and products CM3000, CM3000I, and DM3000P. 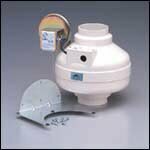 Radon Fans-For over 10 years Fantech has manufactured quality mitigation fans for radon applications. With over one million radon installations worldwide and the reputation for establishing new standards of performance and value your contractor has selected the finest fan for your family’s protection. Exterior Vents-Roof Caps, Outdoor Hoods, Soffit Vent, Louvered Shutters. Models Include UEV4, HS, VK, COM6, FML.